These days some users complained that their WhatsApp chat history, including text, image and voice messages were lost after they finished iOS 11/12 update on their iPhone X/8/7/7 Plus/6/6s/6s Plus/5s, or iPad and iPod. The worse thing is that many of the unlucky users had not backed up their WhatsApp contents with iTunes or iCloud. 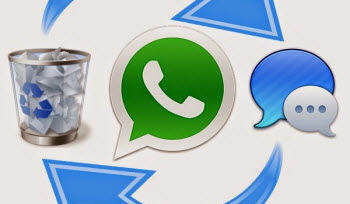 Although currently that WhatsApp messages lost after iOS update is that pervasive, to make sure that users of later update would know how to recover WhatsApp chat history without backup even if they get stuck in this issue, this article introduces the best WhatsApp message recovery software for iPhone/iPad/iPod to get back their missing WhatsApp data, and instructions on how to restore WhatsApp data from backup. Tenorshare UltData is a multi-functional software majoring in lost data recovery on iPhone/iPad/iPod. And it can be especially helpful when you wish to get your mistakenly-deleted files back or retrieve lost data during/after iOS 11/iOS 12 update without iTunes or iCloud backup. Follow the steps below to get back your lost WhatsApp chat history back safely and selectively. Download UltData and install it on your Win/Mac. 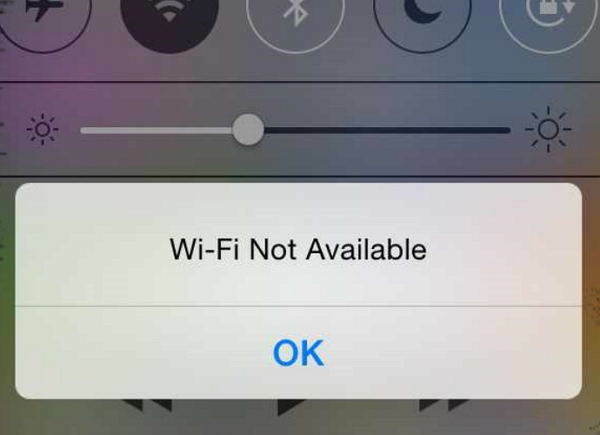 Connect your iDevices to the computer, and let UltData detects your devices automatically. You may see all data types have been displayed on the interface for your to select to recover. Click to select WhatsApp & Attachments option. Click "Start Scan" at the bottom of the interface, and UltData will start scanning all the WhatsApp data in your devices, including all your lost WhatsApp messages. After a few minutes when the scanning is done, you will see all the WhatsApp data are listed. You may choose "Show Only Deleted" on the top right to preview and select any data you wish to recover. Click "Recover" and then you will find the recovered data have been saved in a new folder "Tenorshare UltData" in your computer. UltData not only enables users to recover data without backup, but also helps them sync iPhone/iPad/iPod data from the iTunes or iCloud backup documents, as long as you have backed up your iDevices in your computer before, or that you have enabled automatic iCloud backup in your iPhone, iPad or iPod. To do this, you just need to either choose "Recover from iTunes Backup Files" or "Recover from iCloud Backup Files" on the interface of UltData according to your own needs. For further detailed instruction on how to extract WhatsApp chat history from iTunes and iCloud backup fies with UltData, the Video Tutorial on Recovering WhatsApp Data from iTunes or iCloud Backup Files below may help you. With UltData, almost all your needs of lost or deleted data restore on iPhone after iOS 11/12 update can be fulfilled. Except for WhatsApp data, it can also recover iPhone messages, contacts, call history, photos, videos, music, bookmarks, etc. with or without backup files. More amazingly, if iOS 11 update has ever caused your iPhone stuck in recovery mode or DFU mode, or crashed, except for data loss, UltData can also save your iPhone out of trouble without erasing your data.